Step 2 In a bowl, cream together the butter, cream cheese and erythritol (or sugar substitute of choice). Step 3 Add the vanilla extra and egg. Beat until smooth. Step 4 Add the coconut flour, baking powder, cinnamon and salt and beat until combined. Step 5 Fold in the cranberries and chocolate chips. Step 6 With damp hands take a large walnut sized ball of the cookie dough and place on a parchment paper lined baking tray. Step 7 Press on top of the cookie either with your hand or the back of a spoon to spread out the cookie shape. (Or shape as you want). Step 8 Bake for 20 minutes until firm and golden. 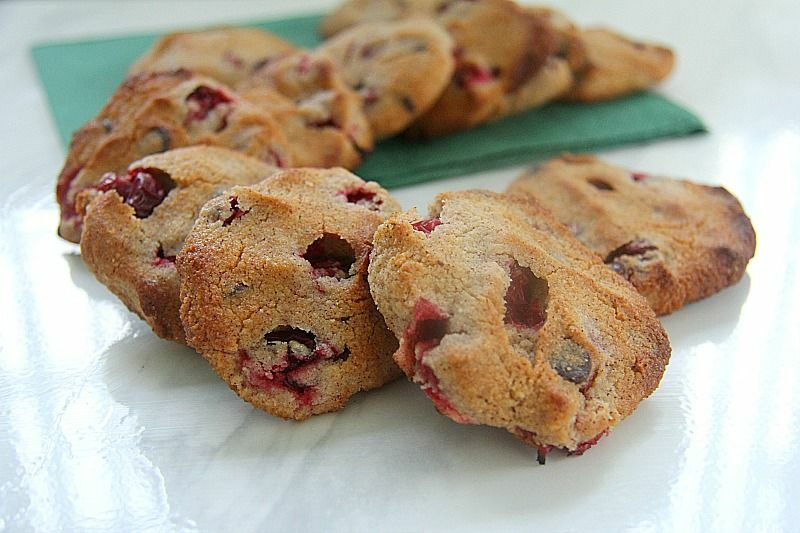 These cranberry cookies are the perfect festive cookie. Made with coconut flour and cream cheese they are a delicious low carb and gluten free cookie.